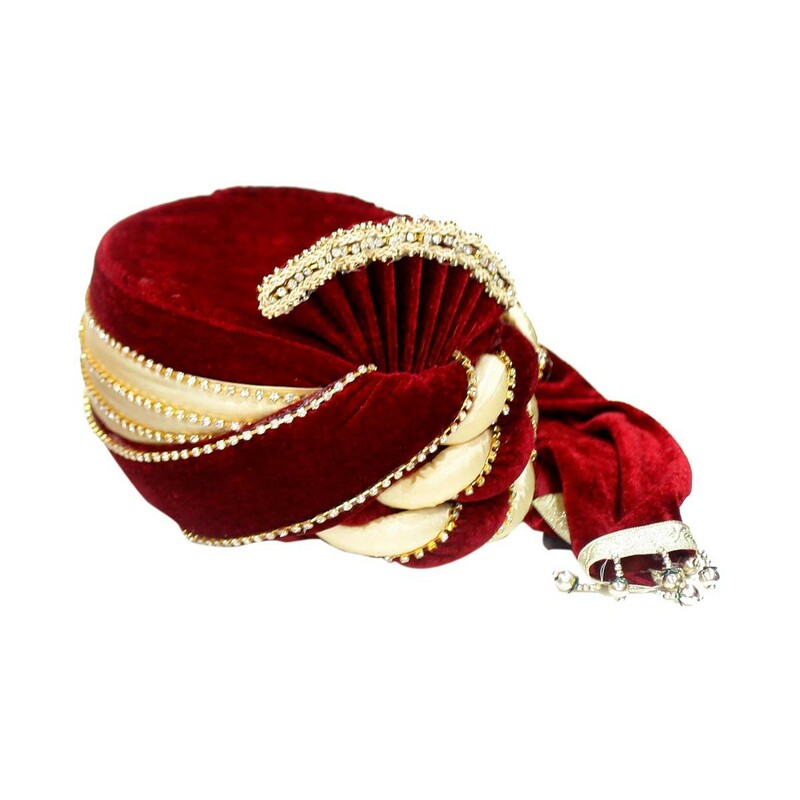 his lavish looking velvet fabric safa is appreciated by grooms of current days. Off white colored patch along with golden beads and shinning stones make it more stylish and rich in look. 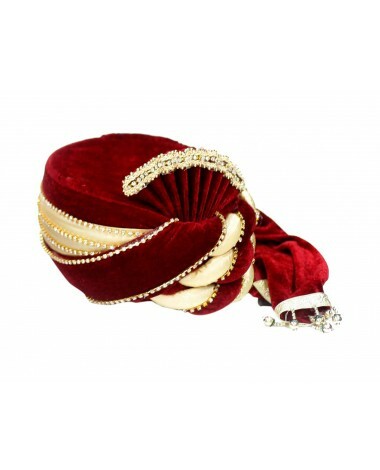 This lavish looking velvet fabric safa is appreciated by grooms of current days. Off white colored patch along with golden beads and shinning stones make it more stylish and rich in look.